Should first-time buyers take out a 40-year mortgage? Mortgages that could last for up to 40 years now make up around half of the market, but should first-time buyers be tempted by such long-term loans? Historically, most homebuyers took out a mortgage for 25 years, but in recent years lenders have started offering much longer-term deals of up to 40 years, in a bid to attract cash-strapped first-time buyers. Here, we explain the extra cost of choosing lower monthly payments over a longer period, and offer advice on finding the right mortgage term. If you’re buying your first home, you can get advice on your mortgage options by calling Which? Mortgage Advisers on 0800 197 8461. New data from Moneyfacts shows that more than 2,600 residential mortgages are now available with maximum terms of 40 years. These products make up 51% of the overall mortgage market, up from 36% five years ago. As you can see in the table below, the trend of longer mortgages has developed significantly over the last five years, with 40-year maximum terms rendering 30-year products almost extinct. Why are first-time buyers borrowing for longer? After a decade of significant house price increases and low wage growth, many first-time buyers have been priced out of home ownership. In reaction, lenders have sought to make it easier for them to obtain the finance to buy a home. This hasn’t always been straightforward, with strict legislation governing how much risk banks can take on when approving mortgages. Income multiples: Some lenders have extended the maximum annual income multiple they’ll use when calculating mortgage affordability (above the standard of four or four-and-a-half times annual income). While this move opens up the possibility of additional borrowing, tough stress-testing criteria imposed by the Bank of England means banks can only offer a very small proportion of home loans with such ‘risky’ terms. 100% mortgages: There have been calls for the return of 100% mortgages, but to date lenders have only brought in no-deposit loans that require a family member to use their savings or property as a guarantee. Ultimately, this means that extending the maximum term of loans – and offering low rates on 90% and 95% mortgages – is the easiest way for lenders to encourage business from first-time buyers. How much more does it cost to borrow for longer? Although taking a loan out for longer term will reduce your monthly payments, it’ll ultimately result in you paying back considerably more interest on your loan. Moneyfacts says that on a £200,000 mortgage at a rate of 2.5%, a borrower would pay around £897 a month on a 25-year term, or £660 on a 40-year term. While this saving of nearly £230 a month is significant, in this instance it would result in the borrower paying £47,400 more in interest over the course of the deal. Are the best rates available with 40-year terms? You might be wondering at this point whether borrowers are penalised for taking out loans with longer terms, but our research shows that this isn’t the case. Indeed, at four popular loan-to-value ratios used by first-time buyers, almost all of the lowest introductory rates are available on mortgages with maximum terms of 40 years. Do banks actually grant 40-year mortgages? Research conducted by Which? 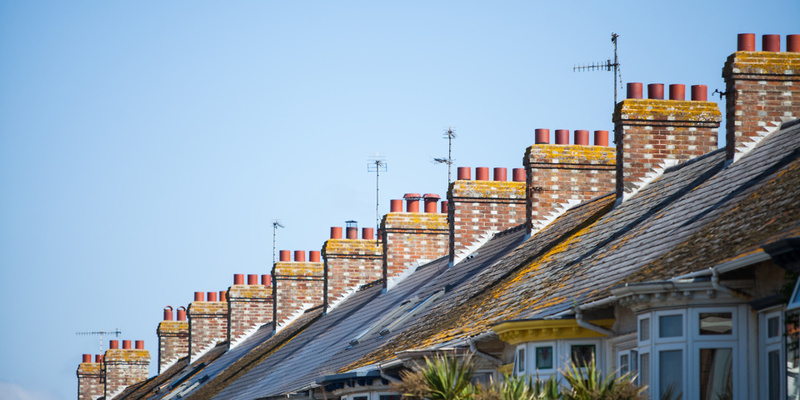 last October found that more than half of mortgage lenders say they offer maximum terms of 40 years, but questions remain as to whether anyone is actually granted such long-term loans. When we approached the biggest banks, they were largely reluctant to provide specific data on their mortgage approvals. Smaller lenders, however, were more forthcoming. For example, Family Building Society said it had approved 40-year mortgages for buyers aged 22-30, while Beverley Building Society said it theoretically offered 40-year terms, but hadn’t had the demand to actually grant such a long-term loan. One of the stumbling blocks for longer-term lending is the maximum age limit that lenders put on their mortgages. For example, if a lender will only let you borrow up to the age of 70, you’ll only be able to take out a 40-year mortgage up to the age of 30. There are signs, however, that banks are increasing the maximum age limits on their deals to reflect demand for borrowing into old age. Darren Cook of Moneyfacts says: ‘Our research shows that 71% of all residential mortgages can end when the borrower is 75 years of age or older, whereas five years ago this figure stood at 52%’. The right mortgage term for you will depend on two things: your financial circumstances when you take out the mortgage, and your long-term plans. If taking on a 35 or 40-year term is the only way you’ll be able to get a mortgage right now, you’ll have a decision to make over whether to save for longer or take the plunge now. If you do take out such a long-term deal, it can make sense to choose a loan that has no penalties for overpayments, giving you the flexibility to pay the loan back sooner, if your finances dictate. If you’re a first-time buyer looking to buy your first home, it can be helpful to take advice from a whole-of-market mortgage broker, who can assess the entire market to find you the right deal. To chat to an expert, call Which? Mortgage Advisers on 0800 197 8461 or fill in the form below for a free callback.